Lawyers and attorneys fighting for your Florida hurricane insurance claims. If you have a mortgage on your Florida property your lender will have certainly required you to take out home owner’s insurance, including hurricane coverage when your loan was funded. This does actually help many Florida homeowners who may otherwise be tempted to cut costs and risk going without hazard insurance. However at the same time this can cause some issues. 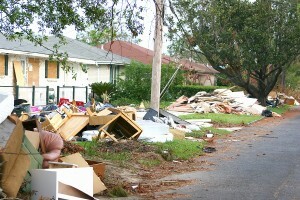 Firstly, a common problem is forced hurricane and hazard insurance by mortgage lenders when it is not needed. While this may be sometimes the result of lost paperwork and poor organization, many believe this is a common scam. Often mortgage lenders force place insurance and charge homeowners for it even when they already have sufficient coverage in place. If not addressed immediately by the homeowner they may find that future mortgage payments are actually applied to insurance premiums and not principal and interest resulting late payments being reported to credit bureaus and even falling into foreclosure without realizing it. Should you encounter a situation like this with your lender, make sure to address it immediately. If you are in the process of buying a home in Florida or trying to update your policy keep in mind that if there is an approaching hurricane insurers will stop writing policies and you could get caught without insurance just when you need it the most or your closing on a new home could be delayed. When a hurricane comes through Florida and you make an insurance claim you can face even more issues with you mortgage company if you are not careful. When you finally receive a check from your insurance company, as your mortgage company is named as a beneficiary the check will normally arrive made out to both you as the homeowner and to the mortgage company. The means that the check will require both the signatures of you as the homeowner and a representative of the mortgage company in order to be cashed or deposited. This can be a major problem if you are behind on your mortgage payment. In many cases mortgage companies will refuse to sign the check and return it to you if you are not 100% up to date. This is true whether there is a mistake in the mortgage company’s records or you have fallen behind because of the hurricane. Certainly hurricanes can make financial times harder on Florida residents that need extra supplies to make it through hurricanes and may have to be paying to stay somewhere else if a home is seriously damaged. Of course this can just escalate a bad problem to a worse one. If you cannot get the funds to repair your home you can fall even further behind making it extremely difficult to ever get back on track and could eventually mean you never seeing a penny of your insurance money and end up losing your home. Clearly this is another situation where it is crucial to employ the services of a specialist law firm that can help you get the money you need to repair your home.